Facet Engineering offers a host of precision machining services, including CNC turning in Perth. Our machining centre at Malaga allows us to provide CNC fitting and turning services that offer superior accuracy, courtesy of the latest mills and advanced lathes equipped in the centre. This state-of-the-art equipment facilitates the streamlined operations and fast turnaround times that our client’s value and have come to depend on us for. Our receptionist is on the ball to answer all calls immediately, offering a good old hassle-free service. 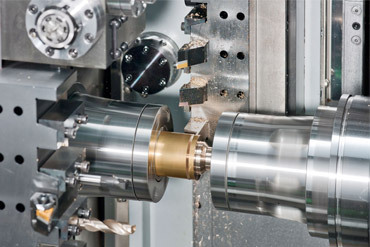 Contact us today to speak to our dedicated team about our lathe fitting and turning in Perth. This refers to a manufacturing process that we provide in which bars of material are fixed in a chuck and spun while a tool is fed to the piece, ultimately removing material to result in a finished product that consists of the desired shape. The CNC fitting and turning services we offer cater to your specific needs. By relying on computer-controlled precision and a variety of tooling options, we can provide you with varying complexities for each part produced. Through the mastery of advanced CNC turning we can produce high-quality finishes economically and in relatively shorter turnaround times for your convenience. Contact our team today to find out how we can assist you with your CNC turning needs in Perth.